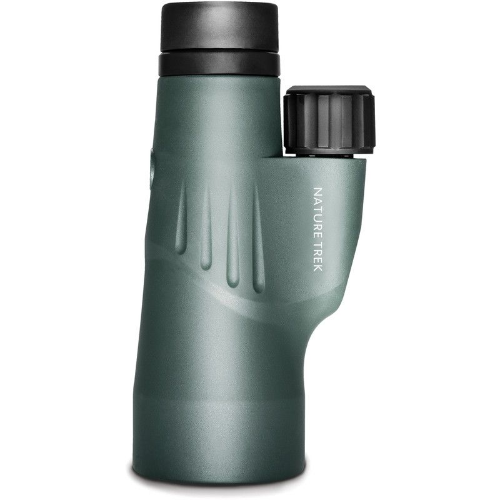 The Nature-Trek® monocular features the same high performance optics as the Nature-Trek® roof prism binoculars, with the added versatility of a smaller package making it ideal for travel and outdoor sports. The fully multi-coated optical system with BAK 4 prism provides sharp and crisp image resolution with true colour and contrast. High magnification of 10x gets you close to the action, whilst the smooth focus ensures sharp viewing results. The fully waterproof design fits neatly in the hand allowing single hand operation and features an integrated tripod screw thread, if a more stable viewing platform is required.